Businesses of all sizes rely on Linux, BSD and Sun Solaris file servers for reliability, performance and scalability. As the volume of data served over networks grows, so does the need to secure them from malware. Increasing volumes of malicious software are launched daily to steal passwords or sensitive corporate and customer information. 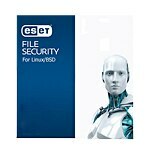 ESET File Security provides Linux, BSD and Solaris file servers with on-demand and on access protection from known and emerging viruses, worms, trojans, spyware, rootkits and other Internet threats. It not only detects and cleans malware that target Linux, BSD and Solaris operating systems, it also recognizes and cleans Windows and Mac OS malware. ESET's ThreatSense technology proactively protects critical file servers from new threats, before other products are able to detect them. ESET File Security is also fast and light, with low false positive rates, so IT managers can extend the life of servers without sacrificing performance or security.